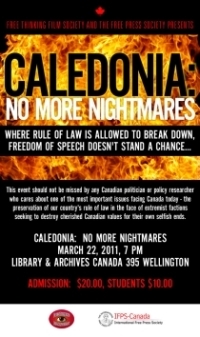 ← Caledonia: Was the Conservative Party of Canada friend or foe to victims? 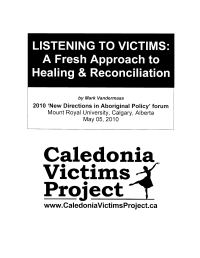 It was Six Nations protesters and Mohawk warriors who engaged in countless criminal acts including: attempted murder of an OPP officer; destruction of the power station; burning down a bridge; digging up the highway; setting tire fires and other fires; and the injuring of police officers and residents. Several court rulings against Native protesters over the past five years have not altered their view that criminal behaviour will be rewarded in Ontario. In all democratic societies, when people have a dispute over land, property or even burial grounds, they take their issue to court. We, as a society, reject people using self-help instead of the court to resolve issues. The fact that governments at all levels immediately pander to the illegal actions of Native protesters only encourages further illegal actions – it begins with an occupation, then escalates to intimidation, then mischief, then violence. At every stage governments continue to tell the public that appeasement is the only answer. The public must insist that all citizens are equal under the law and have equal benefit of the law. We cannot forget the lessons we should have learned from Caledonia – appeasement only leads to more violence. Government appeasement ensures the rights of all non-Natives will be suppressed by authorities as they attempt to appease Native protesters. We will gather in High Park on Saturday May 28, 2011 at 2 p.m. by the [Grenadier] Restaurant. We will begin with speeches and hand out literature. We will then march down towards the illegal occupation and – in keeping with the new City of Toronto policy – post signs declaring “No Whites Allowed,” “No Jews Allowed,” “No Blacks Allowed.” Literature will be handed out to local home owners about the danger near their homes. Our purpose is to reach out to local groups with a message of hope – that the Rule of Law will be established as we demand equality for all. All groups must use the courts – not illegal actions – to address their disputes. 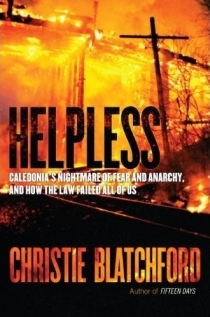 We call upon the people of Ontario and especially those who have read Christie Blatchford’s Helpless to join us in High Park and march with us in the best traditions of Dr. King to bring an end to illegal occupations where governments refuse to uphold the Rule of Law and choose the path of appeasement. In Caledonia, the occupation started with just 3 people and was allowed to continue even after the court ordered the occupiers off the property. 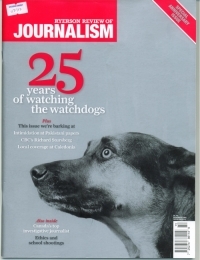 The occupiers rejected the Rule of Law and increased their numbers while governments and police stood by and allowed criminal behaviour to escalate. History proves that the road of appeasement leads to violence. 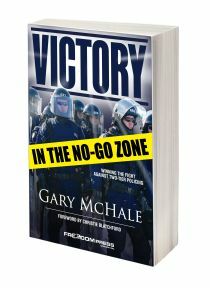 Mayor Rob Ford should be ashamed that he has chosen to follow McGuinty’s path of appeasement instead of upholding the law. Once again, it is the ‘ordinary’ citizen that is the last line of defence against politicians who prefer to legalize occupations instead of upholding the law. Mr. Harrison Friesen, leader of Red Power United (link to website), supports the use of violence and created a video showing his group’s involvement in G8/G20 violence last year in Toronto (link to video) including the burning of the police car. Mr. Friesen has previously called for the illegal blockage of major highways and railway lines and threatened violence if police attempt to enforce the law [link to National Post article]. Criminal action cannot be rewarded and that is exactly what is happening in High Park. Michael Coren blog, May 18/11: Give Turtle Island back to the Turtles! This entry was posted in 110528 High Park protest, Appeasement of Extremism, Caledonia activists, Events, Native Racism & Supremacy. Bookmark the permalink.